We evaluate all applicants equally, with no preferential treatment. Our unique admissions process is designed to empower you to demonstrate who you are, how you think, and what you have achieved. Together, these components allow deep insight into your capabilities, passions, and interests, helping determine if you will thrive at Minerva. An extensive review of existing admissions processes, focusing on those of other top-tier universities, revealed that none comprehensively identify all the qualities we seek in our students. To provide a truly equitable alternative, we developed our own three-part, merit-based admissions process. The process, which eschews standardized tests like the SAT, is interactive, challenging, and does not require lengthy preparation, or expensive consultants. In addition, Minerva was purposefully designed with the flexibility to expand its global locations as needed, and thus has the distinct advantage of unlimited enrollment. We admit all applicants who meet our standards, so you do not have to compete against other students for a place at Minerva. 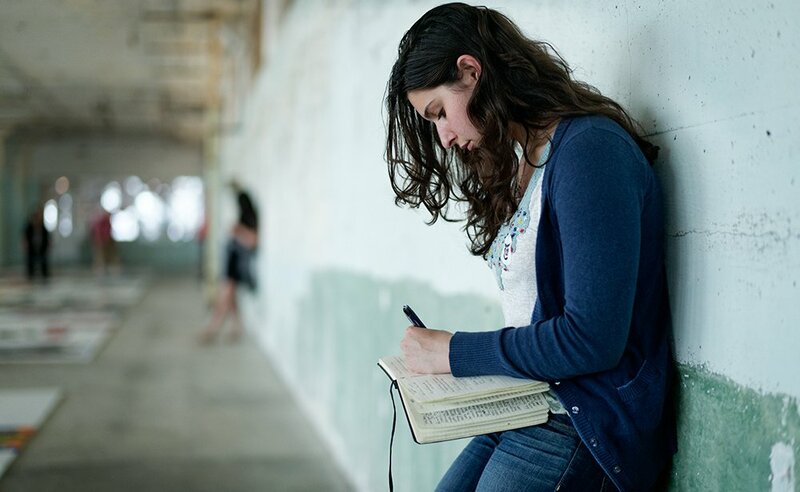 As you complete each step of the admissions process, we learn more about your individual abilities and interests: what is important to you, how you spend time outside of class, and how you think across various dimensions. This holistic admissions process gives you an opportunity to show what you really care about, while enabling us to determine whether you are a good fit for Minerva. 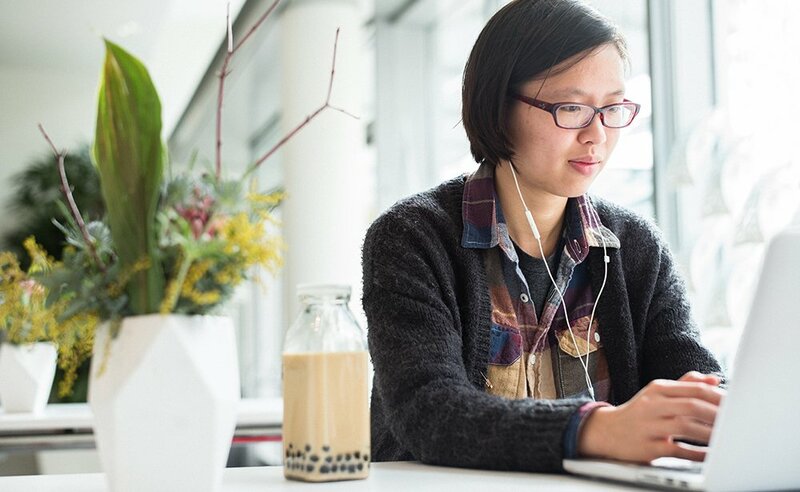 Xiaofan Liang, China, enjoys a tea while working at a cafe in San Francisco. 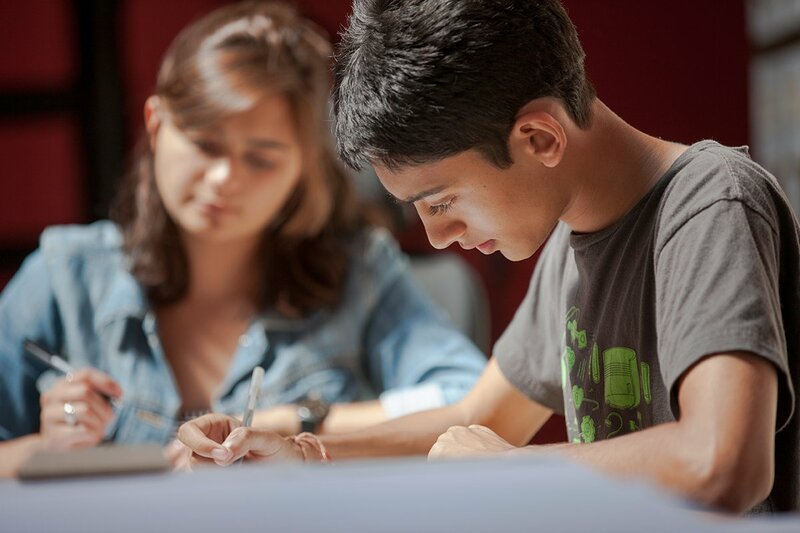 Each part of our admissions process is designed to identify if you are the type of student who will succeed at Minerva. In the first part, you complete the application by telling us about yourself, including your academic performance and examples of what you have accomplished. In the second, you will be presented with a series of engaging challenges designed to measure how you think. Then, in the third part, you will provide evidence of your past academic performance, as well as a set of accomplishments that indicate areas of excellence and interest beyond your grades. 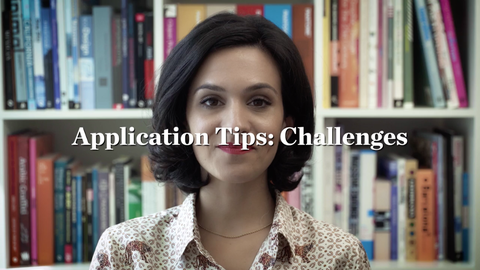 The admissions process begins with your application. This step requires you to provide basic information, including an overview of your academic history and examples of accomplishments you are proud of. Once you have submitted your application, you will gain access to the Admission Center. There you will find resources and information to help guide you through the remaining parts of the process. Note: You can apply through the Common Application instead, but are still required to complete Part Two and Part Three of the admissions process. We do not look at standardized test scores like the SAT and ACT because they do not reflect an unbiased, comprehensive view of your potential. Instead, during this part you will be presented with a unique series of thought-provoking challenges. These are validated measures of how you think across various dimensions — from creativity and mathematics to written and spoken communications. We administer the challenges in a timed, online-proctored format to ensure that you, and you alone, are the one completing them. Also, since they are not something you can study for, preparing is simply a matter of having the right technical setup and being in a clear state of mind. Finally, we want to learn about your accomplishments both in and out of class. While your academic grades are an important reflection of your dedication in a structured environment, we also value activities that reflect your passion and commitment in a variety of other domains. These achievements can include personal projects, involvement in academic olympiads or Model UN groups, literary or artistic works, leadership of non-academic initiatives, employment experiences, and any other activities you are particularly proud of. Rather than narrowly defining what “achievement” means, we give you the flexibility to define this for yourself. Your completed admissions materials include your application, your performance on our proprietary challenges, your academic transcripts, and evidence of your accomplishments. The combination of all three parts enables us to effectively evaluate your potential to thrive at Minerva and beyond. After an extensive review, we will notify you of your candidacy in a timely manner. If Minerva is your top choice and you commit to Binding Enrollment, we will deliver an expedited admissions decision within four weeks. Minerva's admissions process is uniquely designed to understand each applicant's abilities and potential for success, and enables you to showcase your strengths, passions, and drive. 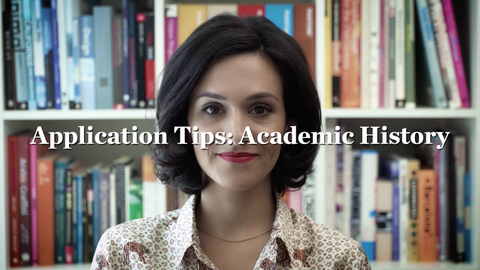 Director of Admissions Neagheen Homaifar offers helpful tips and advice to help you complete each component in the application. Minerva offers three distinct admissions cycles. When applying in the cycle that is best for you, you have the option to select Binding Enrollment if Minerva is your first, or only, choice. The Binding Enrollment option guarantees an expedited notification within four weeks of completing the admissions process — significantly earlier than other applicants — in exchange for your commitment to paying the enrollment deposit and attending Minerva, if admitted. Students admitted during the Early Action cycle are invited to attend the first Ascent Weekend in San Francisco. This exclusive event is an opportunity to explore the Foundation Year city, visit the residence halls, and connect with prospective classmates and current Minerva students. As an Early Action applicant, you will receive your admissions decision by December 15, 2018 and will have until May 1, 2019 to confirm your enrollment. The first Regular Decision cycle corresponds to admissions calendars at most other U.S. universities, with an admissions deadline of January 15, 2019. As a Regular Decision I applicant, you will receive your admissions decision by March 30, 2019 and will have until May 1, 2019 to confirm your enrollment. Our second Regular Decision cycle aligns with application timelines common outside of North America, making it convenient to apply regardless of your geographic location. However, the timeframe for this cycle is compressed. Admissions notifications and enrollment decisions occur more rapidly than in prior cycles, with an admissions deadline of March 15, 2019. You will receive your decision no later than April 17, 2019, but will only have until May 1, 2010 to confirm your enrollment. Note: If you are interested in matriculating in 2020 or later, please complete and submit the first page of the application. We will contact you when the appropriate admissions cycles are open. If you were previously admitted to Minerva and declined our offer, you must apply as a Binding Enrollment applicant in order to be considered again. Additionally, you will be asked to provide an explanation for why you are reapplying and why you are committed to enrolling if admitted. Parthiv Shah, India, engages in a group activity at the start of Foundation Year in San Francisco. Minerva has attracted thousands of applicants from more than 180 different countries, cementing its reputation as one of the top schools in the U.S. With outreach personnel in regions across the globe, we are committed to enabling the brightest students everywhere to receive a top-tier liberal arts and sciences education. While we recognize that Minerva is not right for everyone, we work to ensure that if you qualify, you are able to attend. With no application fees — other universities charge as much as $100 — the Minerva admissions process is accessible to everyone, in every part of the world. Minerva admissions are also open to students seeking to transfer from another college or university. In fact, nearly 20% of our current student body came from another institution, some having already earned an undergraduate degree elsewhere. However, because Minerva does not offer introductory courses and requires all students to complete the Foundation Year curriculum, your ability to transfer credits is limited. As a transfer student, you are eligible to transfer up to eight credits toward select majors, pending faculty approval. 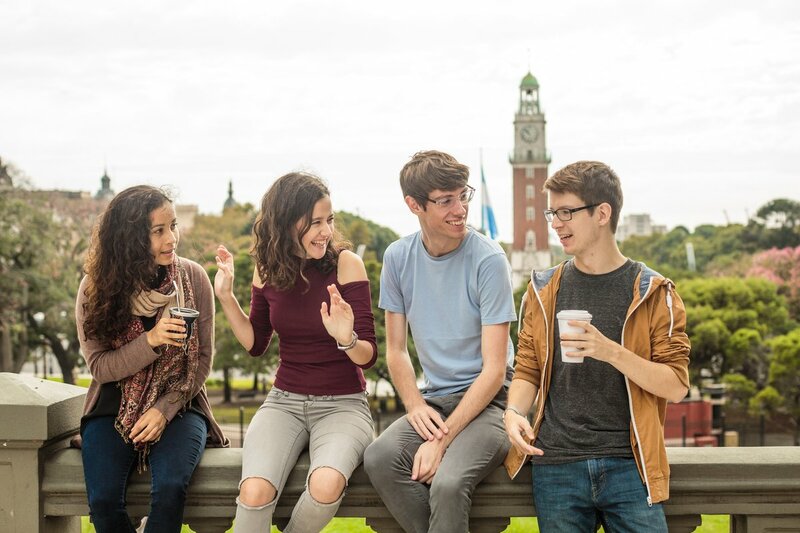 If you are dissatisfied with your current undergraduate education, Minerva’s rigorous academics, global experiential learning, and professional development opportunities may be precisely what you are looking for. Students Bethany, Veselina, Anthony, and Adrian enjoy a day out in Berlin, Germany, during their semester in the city.